The New South Wales Government has announced that the Sydney Northwest rail project is $500 million under budget. New South Wales Premier Gladys Berejikilan has spoken glowingly about the progress this project has made “The major contracts for Sydney Metro Northwest were awarded in 2013 and 2014 and the project budget was set at $8.3 billion,” Ms Berejiklian said. "This project was promised for decades and decades and now today the final bit of track has been laid,"
"Every major project including this one goes through challenges," she said. "We know the Skytrain part of the project was particularly challenging. Below is a project overview of the Sydney Northwest Rail Project. Sourced from the Sydney Metro Website. Sydney Metro Northwest is delivering eight new railway stations and 4000 commuter car parking spaces to Sydney’s growing North West. Trains will run every four minutes in the peak, that's 15 trains an hour. Customers won’t need a timetable, they will just turn up and go. Sydney Metro Northwest, formerly the North West Rail Link, is the first stage of Sydney Metro and will be the first fully-automated metro rail system in Australia. Sydney Metro City & Southwest is the second stage. Sydney Metro Northwest will deliver, for the first time, a reliable public transport service to a region which has the highest car ownership levels per household in NSW. Over the coming decades, an extra 200,000 people will move into Sydney’s North West, taking its population above 600,000, or twice the size of Canberra. Major construction is underway at the 16 construction sites along the project alignment. Three major contracts were awarded in 2013 and 2014 to deliver and operate Sydney Metro Northwest. $1.15 billion contract awarded to CPB John Holland Dragados (CPBJHD), formerly Thiess John Holland Dragados on 24 June 2013. This contract involves building the 15 kilometre twin tunnels between Bella Vista and Epping. The longest railway tunnels to ever be built in Australia. $340 million contract awarded to the Impregilo-Salini joint venture on 17 December 2013. 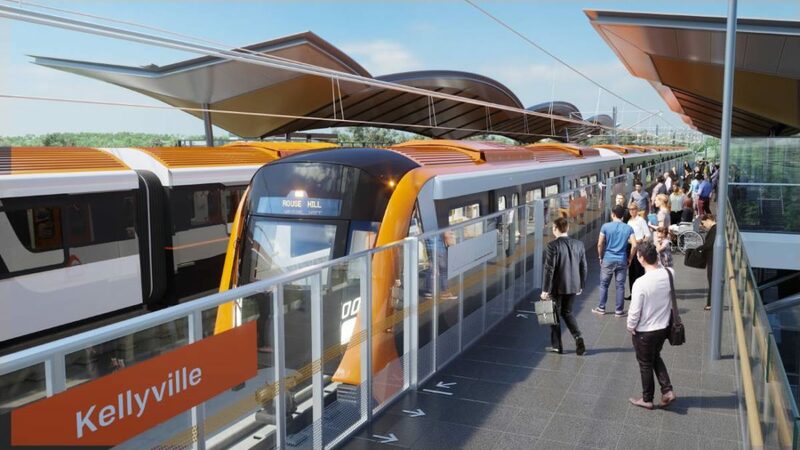 This contract involves building the four-kilometre elevated skytrain between Bella Vista and Rouse Hill, including a 270-metre cable-stayed bridge over Windsor Road at Rouse Hill. $3.7 billion operations contract awarded to Northwest Rapid Transit on 15 September 2014. This contract involves delivering eight new railway stations, 4000 commuter car parking spaces, Sydney’s new metro trains and upgrading the railway between Chatswood and Epping. It is the largest Public Private Partnership ever awarded in NSW. At Cheltenham, a new surface services facility provides emergency stair and lift access to the tunnels below. The lift is big enough to evacuate people on stretchers.